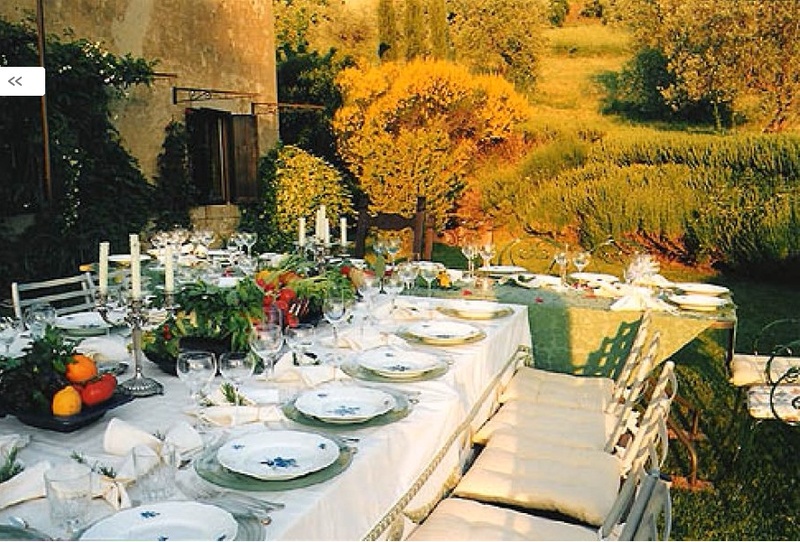 This beautiful, spacious villa in Chianti dates back to the 1800s. In typical Tuscan Baronial style, it covers 6,500 square feet over two floors. Large windows and doors allow the sun to filter through to strikingly illuminate the interiors. The house has brick vaulted ceilings on the ground floor, wooden beams on the first floor and terra-cotta floor tiles throughout. Situated on 37 acres of olive trees between Florence and Siena, the villa is an easy walk to the village of Barberino Val d'Elsa. The property features a small vineyard, fruit trees, a garden and infinity pool from which there are breathtaking views. Three areas make a large triple living/dining room, which includes comfortable sofas and armchairs along with a Satellite TV and CD player. The dining room has a table for 12 plus another table for extra guests. The second living room has a double sofa bed. A third living room has a fireplace, piano and small library containing books written in English as well as a small service bathroom. A corridor connects a small office area with an internet connection and a small laundry room. The large double kitchen has two stoves, 3 ovens, large American style refrigerator, American coffee machine and dishwasher. Adjoining the kitchen is a charming covered terrace. All five bedrooms have en-suite baths, king size beds, fireplaces and magnificent views. This Provencal villa is a large country house from the 18th century - fully renovated in 2007-2008 - located in the rolling hills of the Lubéron within walking distance of the village of Ménerbes. It has rooms on three different levels and boasts inviting indoor and outdoor spaces in which to gather. The interior is light, comfortable and luxurious. The exterior’s private 3 acres is surrounded with olive trees, fruit trees, and Lubéron Mountains. The grounds have been kept rustic and natural with private spaces in which to read under a tree, a boules court, pool area, pool house and orchard. Many terraces, in the sun or shade, offer a number of places to get away and relax. Amenities include 5 televisions with Satellite TV and DVD players, Cd player/ stereo, Broadband WiFi Internet access, Washing Machine and Clothes dryer, Iron & Ironing Board, Fully equipped kitchen including Dishwasher, Coffee and espresso makers, Indoor and outdoor dining for 14 people, Wood Burning Fireplace, Barbecue Grill, Table tennis/ Ping pong, 5 bicycles and a Boules court. All five bedrooms have en-suite baths, king or queen size beds, fireplaces and magnificent views.